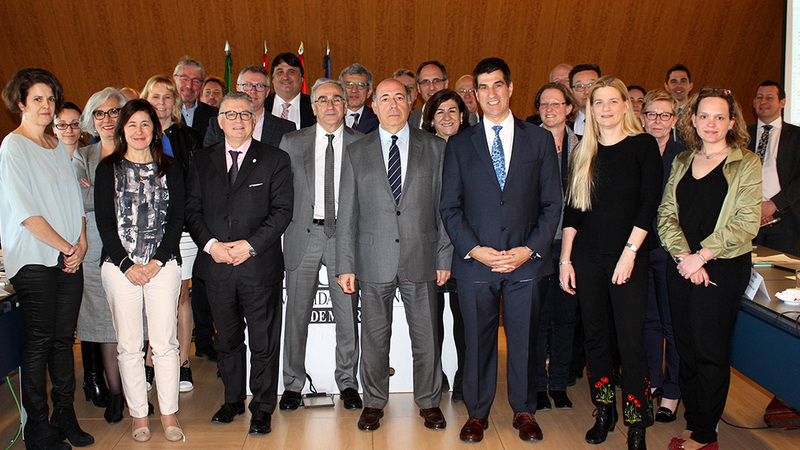 On 17th March, YERUN members gathered for their General Assembly, hosted by Universidad Autónoma de Madrid with the assistance of the representatives of A4U. The meeting was chaired by Prof. Juan Romo (YERUN President). Members decided on upcoming priorities for the network taking into account the YERUN Strategic Plan adopted for the period 2016-2020. YERUN members will continue working on research and education collaboration, knowledge exchange and graduates’ employability. The General Assembly also adopted by unanimity a BREXIT statement in order to emphasize the importance of scientific and educational collaboration during the negotiations between United Kingdom and the European Union now that the UK Government has triggered article 50 of the Treaty of Lisbon. The next General Assembly will take place on 26th October at University of Ulm, in Germany.